How long before the wedding do I need to contact you? Ideally (and if possible) a first consultation should be booked 5 months prior to the wedding. If you’d like to pop in prior to that you’re more than welcome. We start with the making of the dress and fittings about 4 months before the wedding. How much does a wedding gown cost? 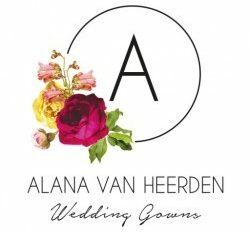 The prices of my wedding gowns currently range between R16 000 and R28 000, and depends on a number of variables. The price includes the consultation, design, fittings, fabrics, trimmings and labour. During a consultation session, we’ll chat about all the ideas and possibilities for your dream wedding dress – from the shape and silhouette of the gown, to the colour and fabric choices. It is always helpful if you could bring along a few pictures and references to use as a starting point. From there the dress will be designed as a unique once off creation. Measurements will also be taken at this first consultation. Will you make an exact copy of a dress from a picture? No, we specialize in custom-made original designs that are specially designed for every individual bride. Pictures are only used as a reference point. Do you make dresses for the rest of the bridal party? No, our focus is solely on wedding gowns. Do you have any dresses available for fittings? Unfortunately we don’t have a sample range of dresses to try on. If you are a little uncertain about which style would suit you best, I suggest popping in to any bridal boutique for a fitting before we meet for a consultation. To ensure a perfect fit, I require 3-4 fittings. Do you source the fabrics yourself? Yes. Fabric choices are thoroughly discussed during the consultation session and once I have a clear idea of which materials would work best for your dress, I source it. How long before I can collect my dress? Dresses can be collected 1-2 weeks before the wedding. If you’d like some more information, or simply want chat about your vision for your dress, please feel free to contact me.